Re-create your own challenge course with the wipe-out game. 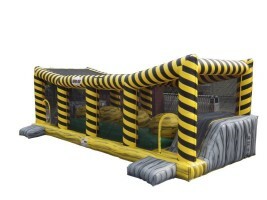 Guests are challenged to spring across the yellow blobs to safety, but one slip will land you in nuclear sludge. 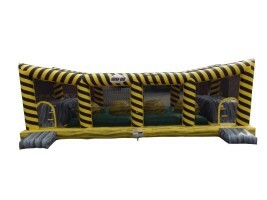 Your event will be radiating with fun when you feature this impressive, enormous inflatable.